Locally owned and community supported, Madison Music Foundry provides a professional yet comfortable atmosphere for musicians to learn, rehearse and record music. With 17 studios there are often many activities happening simultaneously including band rehearsals, lessons, classes and education workshops (such as Rock Workshop). This creates a vibrant community where instructors, students and working musicians all are in constant contact with each other. Madison Music Foundry also owns and operates the professional recording studio Blast House Studios, which is a well-equipped and professional facility in which musicians, producers and engineers can work their skills and perfect their art. See the links to the left to find out more about the Foundry. 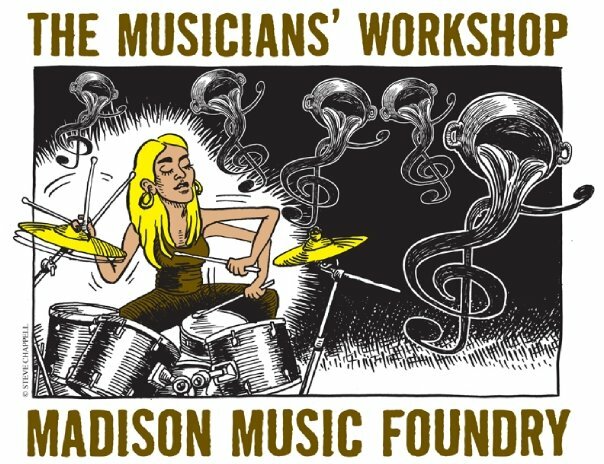 The mission of Madison Music Foundry LLC is to continue to be the Madison area's premier outlet for musicians of all abilities and ages by providing the space and resources to accomplish their musical goals and projects. It provides a safe and professional environment for musicians, free of distraction and interruption. As a locally owned and community supported business, it will continue to work with other area music and cultural organizations to help promote and educate the importance of music in our culture.